Where do I submit the photo for my wallet card? 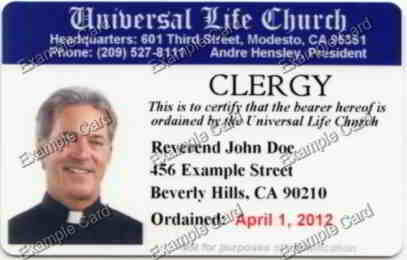 Universal Life Church Online > ULC Store > Where do I submit the photo for my wallet card? Purchasing the Professional Style Minister’s License Card with Photo requires that you submit a personal photo for us to process your order. The service form to upload your photo is located here. If you ordered the standard license card which has a shield logo, there is no need to submit a photo.